Get Your Taste Buds Ready for CPA’s HOTTEST Event of the Year! 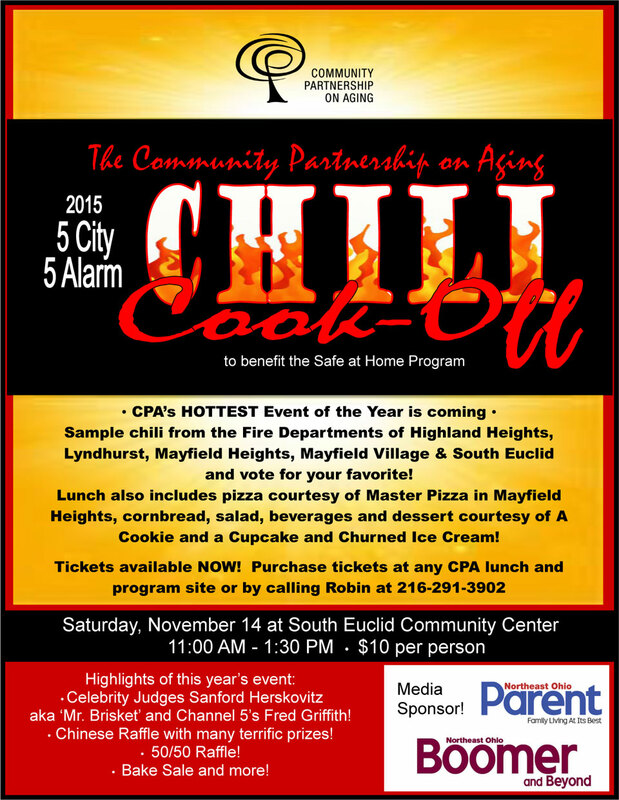 Will the Mayfield Heights Fire Department take the Audience Choice Award for a third year in a row? Find out at CPA’s HOTTEST event of the year! Highlights of this year’s event include celebrity judges Sanford Herskovitz AKA Mr. Brisket and TV personality Fred Griffith; pizza courtesy of Master Pizza in Mayfield Heights, salad, cornbread, beverages and dessert, courtesy of A Cookie and a Cupcake and Churned Ice Cream! 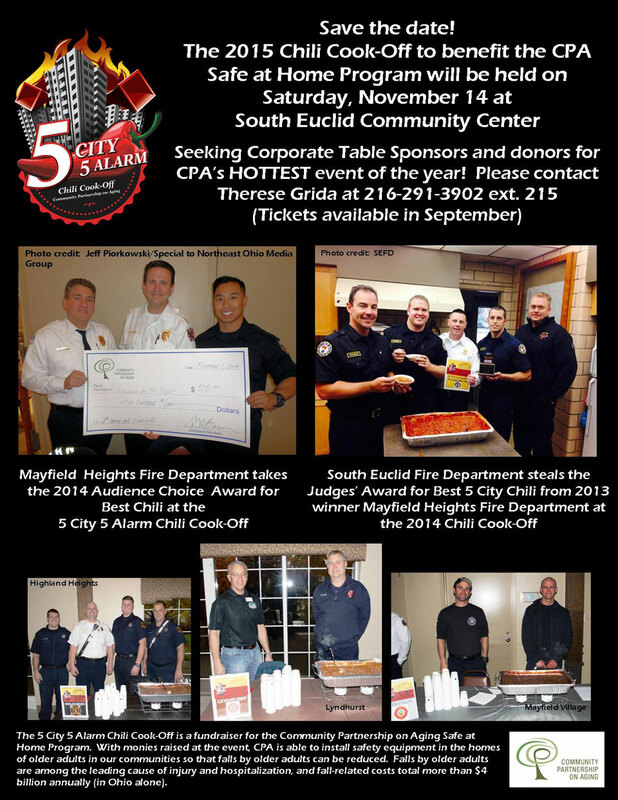 Tickets for our Third Annual 5 City 5 Alarm Chili Cook-Off are available NOW and are sure to go fast. See flyer below for event and ticket information! 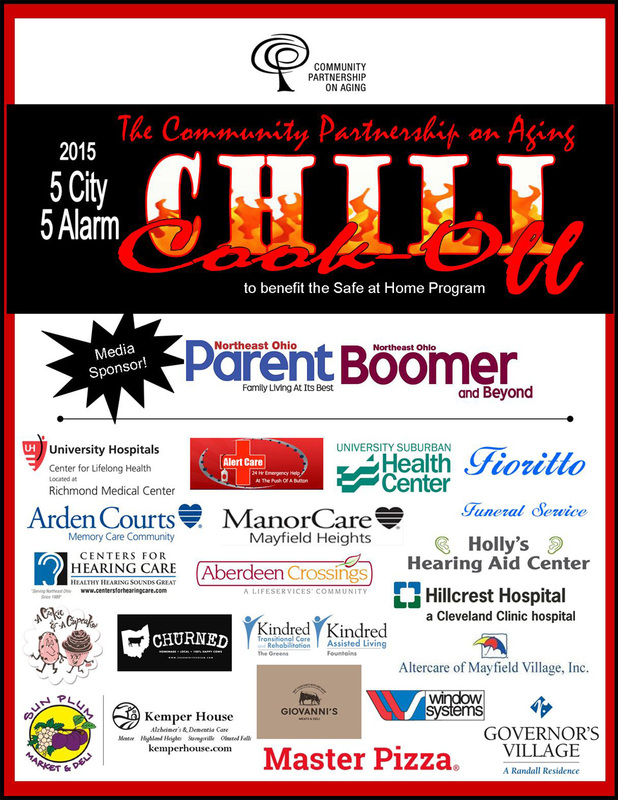 Thank you to the many sponsors and businesses for your generous support and donations!